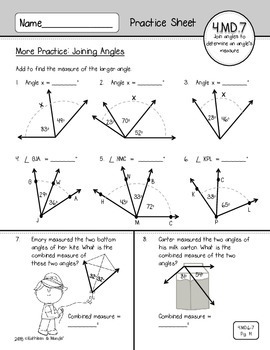 This 4.MD.6 & 4.MD.7 CCSS aligned geometry packet includes 21 practice sheets to teach/reinforce geometry and measurement concepts about measuring, drawing, and additive angles. 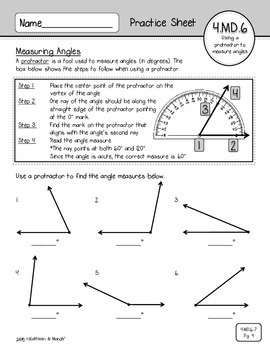 These sheets can be used to introduce a concept, review a concept, or send home as reinforcement for homework. **An answer key is provided. …....or purchase one of our bundles and SAVE $$$! 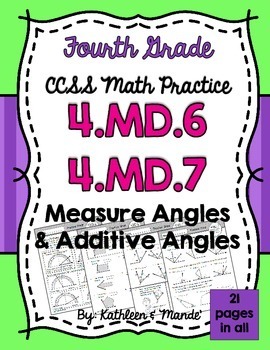 Save 10%....4th Grade Math Practice Sheet Bundle! Save 15%....4.MD.6 & 4.MD.7 Bundle! 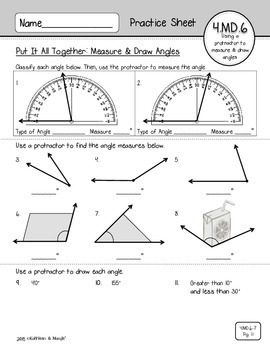 Save 20%...4.MD **MEGA** Bundle - All Measurement & Data Standards!